The Supreme Court has ruled that the way in which a university employee’s ill-health early retirement pension was calculated, based on the part-time salary he earned in the last three years before he took early retirement, did not constitute ‘unfavourable treatment’ for the purposes of Section 15(1) of the Equality Act 2010 (Williams v The Trustees of Swansea University Pension and Assurance Scheme and Another). The employee concerned had worked for Swansea University for 13 years. He suffered from Tourette’s syndrome and other conditions that satisfied the definition of disability under Section 6 of the Act. His working hours were reduced to part time as a reasonable adjustment on account of his disability three years before he took ill-health retirement at the age of 38. At the time he retired, he was working half his full-time hours and was paid commensurately. 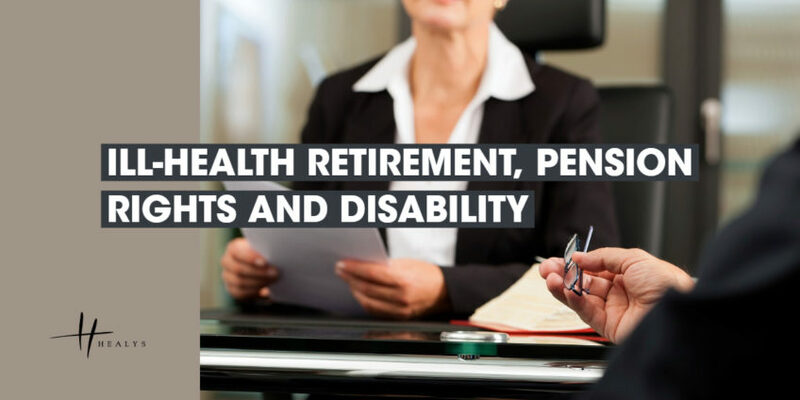 Under the ill-health early retirement provisions, the employee was entitled to a basic pension made up of a lump sum and annuity, calculated on the basis of his actual salary at the relevant times. This element of the pension was not in dispute. However, he was also entitled to a pension enhancement, the amount of which was calculated on the basis of his final, part-time, salary as at the date of his retirement. He argued that that approach amounted to unfavourable treatment because of something arising in consequence of his disabilities, namely his inability to work full time. Although his discrimination claim initially succeeded before an Employment Tribunal, that decision was overturned by the Employment Appeal Tribunal (EAT) and the Court of Appeal upheld the EAT’s decision. In dismissing his appeal against the latter ruling, the Supreme Court noted that there was little to be gained by seeking to distinguish the word ‘unfavourable’, in Section 15 of the Act, and concepts such as ‘disadvantage’ or ‘detriment’ found elsewhere in its provisions. It was necessary to identify the relevant treatment to which Section 15 was to be applied, which in this case was the immediate award of a pension. The fundamental objection to his case was that there was nothing intrinsically unfavourable or disadvantageous about the award of the ill-health pension. The only basis on which he was entitled to such a pension was by reason of his disability. Had he been able to work full time, the consequence would have been not an enhanced entitlement but no immediate right to a pension at all. In those circumstances, the award could in no sense be viewed as unfavourable. We can assist you in reviewing your pension scheme rules to ensure the benefits provided are unlikely to give rise to a discrimination claim.